As a new member of Congregation or Ami, I was excited to begin participating in the many social action opportunities organized by the congregation. As it happened, two projects fell on the same day. Both were so exciting and worthwhile that my kids and I couldn’t pass them up … even when the first one started on a Sunday at 6:00 am! We drove in the dark to Kohl’s Department Store in Woodland Hills for the Calabasas synagogue’s Foster Kid Childspree, a morning of chaperoned shopping for children in foster care and needy students from a nearby public school. On the ride over, my kids Samantha and Jacob were talking non-stop about meeting their “new friend” and helping her shop at Kohl’s with a $100 gift card donated by the temple. We were met by a well-organized team and quickly checked in, ate bagels and were matched up with our new friend, 11-year-old Kattia. My 5- and 8-year-olds immediately made friends with Kattia, and were pushing the shopping cart through the store, making suggestions on things she might like. We quickly learned that she loved anything sparkly and purple, which made it easy to help her pick things out. The kids had a great time learning about all the things they had in common, from sparkly things to baseball to math. Our whole family helped out, with my youngest pushing the cart and my oldest adding up our purchases in his head. Once we had everything Kattia wanted and then picked out a gift for her mom and her teacher, we went upstairs and had snack together. The kids realized once again how much they had in common, as they all chose the same healthy snacks. I was so pleased that being with Kattia was like being with just another friend, who had the same likes and dislikes that we did, who loved math and the color purple. My kids realized that she wasn’t different. Kattia was just a kid, and that was a great way for her to feel and a great lesson for my kids to learn. From Kohl’s, we drove straight to The Gentle Barn in Santa Clarita, a farm which adopts and heals animals who were abused or neglected. 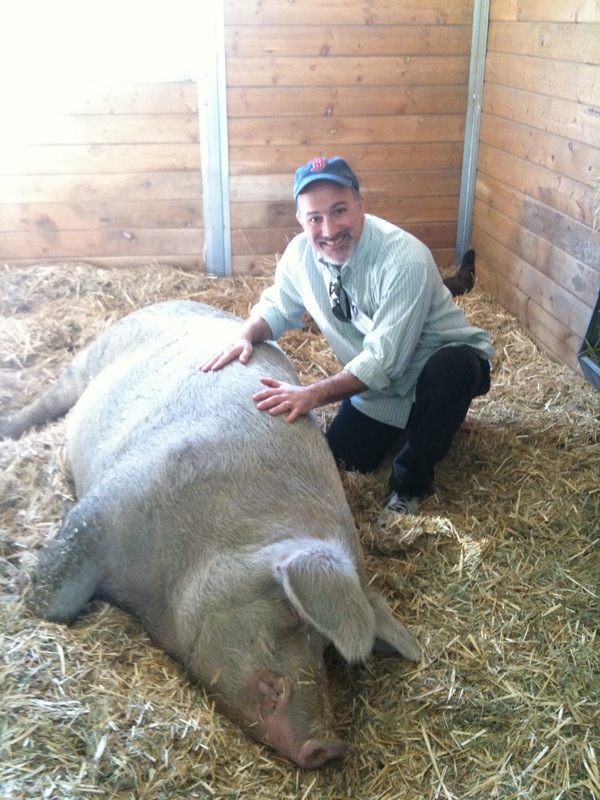 Visiting The Gentle Barn, a social action priority of Congregation Or Ami, as part of Congregation Or Ami’s Jewish values and Social Justice curriculum, the entire Mishpacha Family Alternative Learning program of 73 participants gathered to learn about our responsibility to care for animals. We met Ellie, the founder of The Gentle Barn, and heard about how visits by children who had experienced abuse brought healing to both the kids and the animals. My own kids were unable to contain their excitement about getting to hug the cows and pet the sheep. 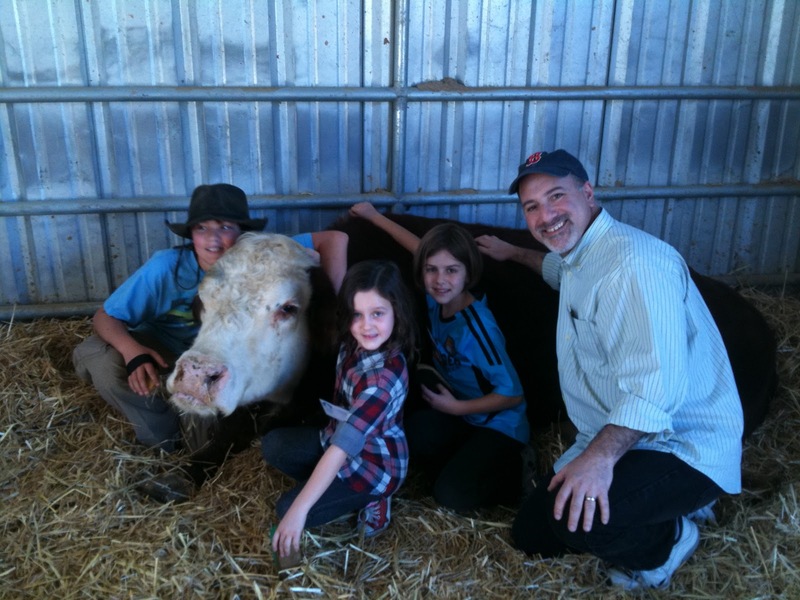 We got pictures of Rabbi Kipnes and a group of children hugging the cows. The experience was unbelievable. Both of my kids, usually afraid of large animals, fell in love with the horses and the cows. We went back for a second turn to both of those areas. Thanks to the Mishpacha Coordinators Greg Weisman and Joel Abramovitz, we learned how Judaism teaches that we must care for all of the creatures of the earth. We explored how people and animals are not so different, that they often have similar stories and maybe even similar feelings. Interestingly, this was a similar lesson to the one we learned at Childspree earlier in the day. I was reminded, and my kids began learning today, how even a small gesture, whether it’s shopping with a child who does not normally get that opportunity or hugging a cow which was rescued from abuse, can make a big difference in the world. I want my children to grow up understanding how lucky they are to have what they have and feeling responsible for giving back in some way. If they can do this in a warm and welcoming community, like at Congregation Or Ami, where they feel safe and part of something bigger than themselves, I think they have the best possible chance to grow up to be good, caring, compassionate human beings. If I can accomplish that, then I have not only achieved my own personal goal, but I have helped the world in another small way, by sending two more human beings out there, who will continue to make a difference long into the future. Way to go and make a difference. One step in front of the other, one person and a time! 🙂 YOU ROCK!